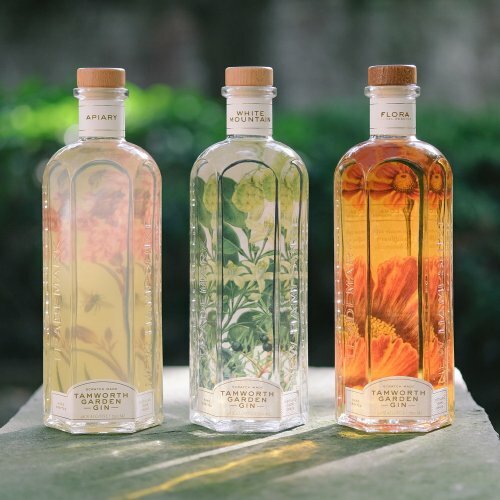 Art in the Age is pleased to announce the release of three new gins from the Tamworth Garden Gin series – White Mountain, Apiary and Barrel Reserve Flora Gin. 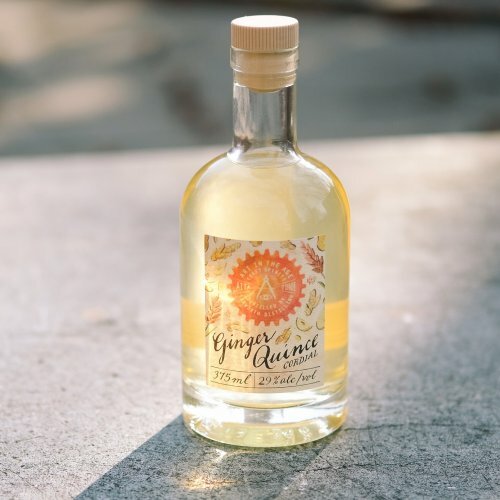 These small-batch garden-inspired gins from Tamworth Distilling were specially formulated to pay homage to the unique natural resources populating right in their New Hampshire distillery’s backyard. They will be available at Art in the Age starting Thursday, October 18th, while supplies last. 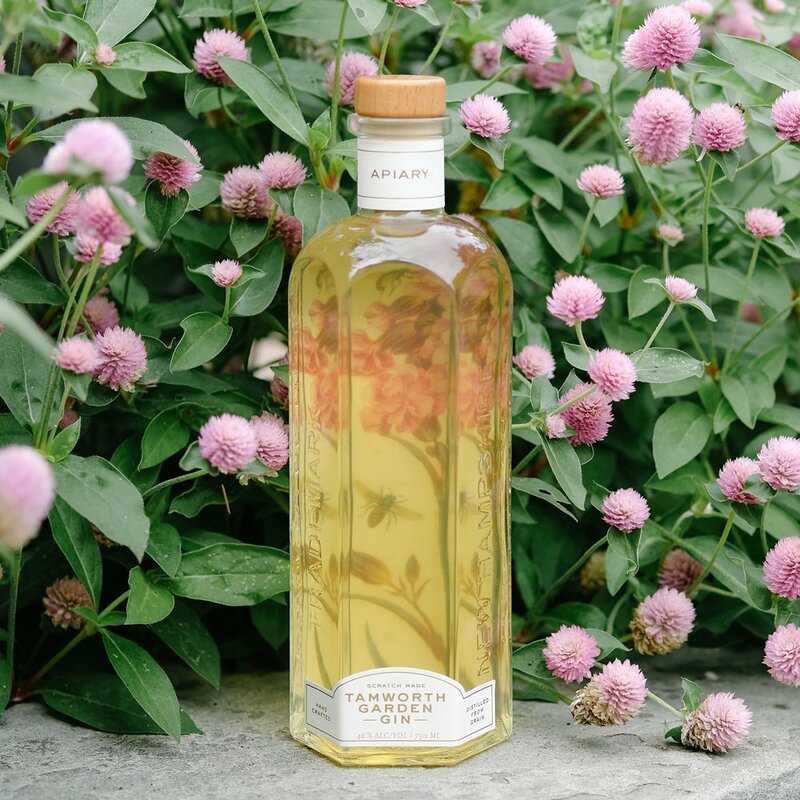 The Garden Gin Series is the result of Steven Grasse’s boundless experimentation with hyper-local herbs and botanicals native to the Tamworth area. The end result is three, versatile gins representative of local flora and honey. 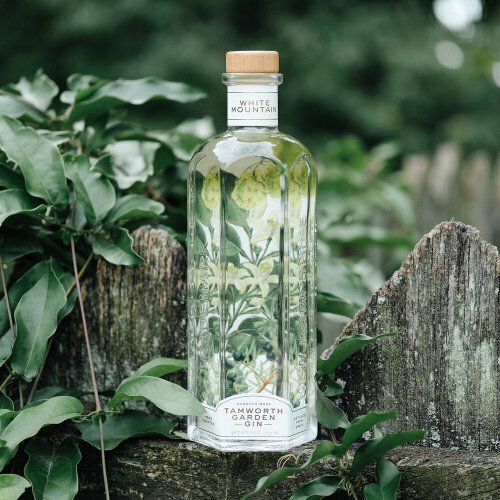 The series began with Apiary Gin, a unique concoction that placed foraged poplar buds, red clover, linden flower, and raw honey alongside the standard juniper. Taken together, the ingredients evoke the array of botanicals encountered by a bee in the Tamworth area. 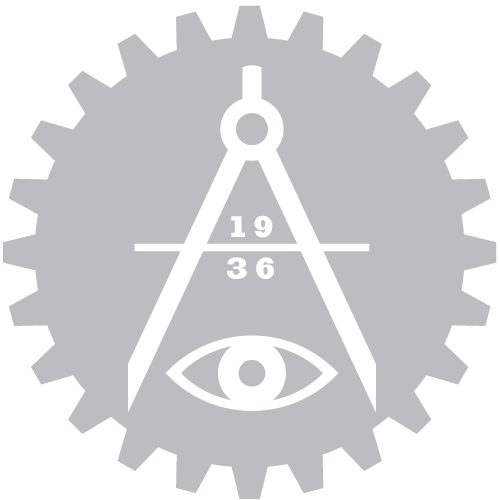 The rest of the gins followed a similar template. Utilizing a variety of local and foraged ingredients to make drinking an experience, each one transports the drinker to a particular time and place. Delicately handled juniper berry is balanced with other forest pine notes, including Balsam Popular buds and pine rosin. The poplar buds are distilled off and added in small amounts, which give the gin a sweet, mature pine note as well as a unique, yellow hue. Pine rosin is aged pine sap, devoid of harsh terpenes and stripped of its astringency. These two ingredients are combined to produce a polished, evergreen flavor without any sharp or dry notes, helping the red clover’s mild, honey sweetness come across without being weighed down by the resinous qualities typical of other gins. 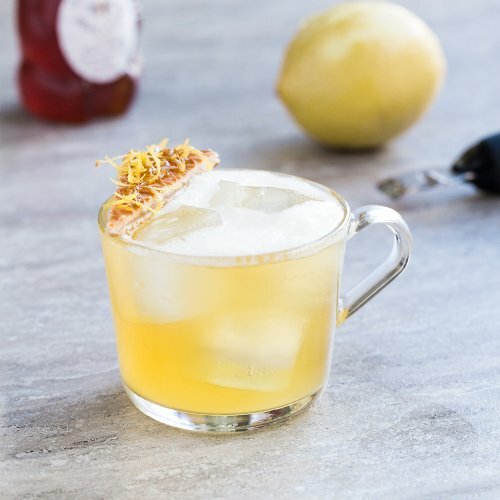 The raw, honey texture and viscous mouthfeel of this gin make for a smooth sipper, and allow it to stand up well in cocktails. Sweet and floral, with tropical fruit nose and a lingering piney aroma. The first sip gives a familiar, London Dry impression from the coriander/juniper with a slightly woody angelica root connection. Then the guava and citrus roll in just after the floral notes subside. Sipping straight, this gin aromatizes in the mouth, and lighter notes travel to the nose. Drinking straight is excellent, with its soft, ethereal nose and slightly fruity sweetness, White Mountain Gin’s slightly higher proof allows for very successful mixed drinks. The higher proof not only maintains integrity during mixing dilutions, but it keeps essential oils dissolved in solution until that moment of mixing. 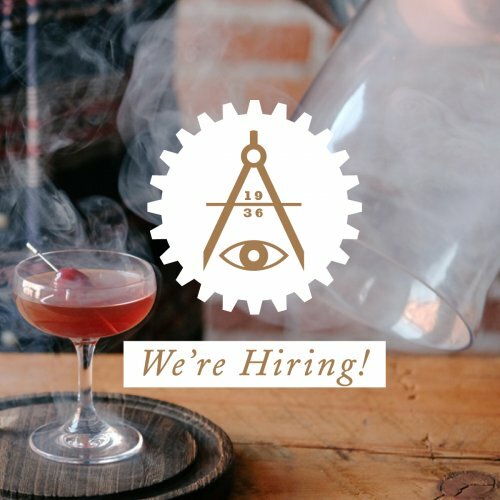 Those oils are the compacted scents and tastes of the ingredients, and really have a chance to shine in classic cocktails. It’s likable hoppy-ness allows for more unique cocktail experimentations. 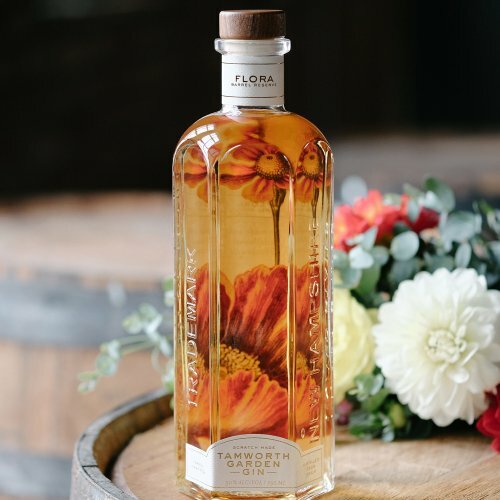 The gin is aged for over a year, which extracts the wood sugars and flavors and transforms the fresh-cut flower flavors into something tropical. 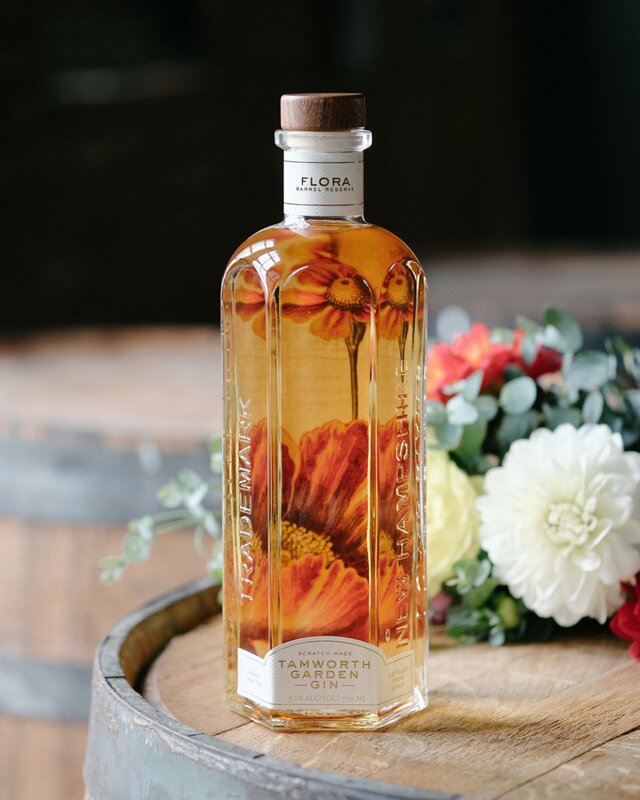 The mellowing effect gives it a whiskey drinkability, while the botanical base makes for excelled cocktail potential. These warmer barrel characteristics are balanced with a smoothed over juniper note. Left at a pretty sizable 100 proof, it is surprisingly drinkable (unlike other gins) and is the perfect sipper, similar to a whiskey. All 3 Garden Gins are available now to taste and purchase at our Old City store!